KEY TECHNOLOGIES: Wide soles are meant to improve contact from a variety of lies. PLAYABILITY: Predominantly straight, though a few guys can shape shots a bit; easy to get airborne with a naturally high trajectory; reliable from the rough in all but the worst situations. ACCURACY/FORGIVENESS: The club's strongest attribute -- turns bad swings into acceptable shots; for some, it maintains distance and produces straight shots as well as anything they hit. DISTANCE CONTROL: Hits your target consistently once you get it dialed in; easy to throttle back when you want to take something off it; plenty long, even if it's not the longest of the bunch. FEEL: Firm, stable, and solid through the ball, even out toward the heel or toe; there's enough feedback to play short approaches around the greens; well balanced -- not so light that you lose the head at the top of the swing. LOOK: Relatively thick topline and large cavity don't detract from the view at setup; gray head and visible scoring lines make them easy to line up. Very wide sole doesn't perform as well as some would like; huge distance just isn't there for some guys; it actually produces a higher trajectory than other testers prefer. 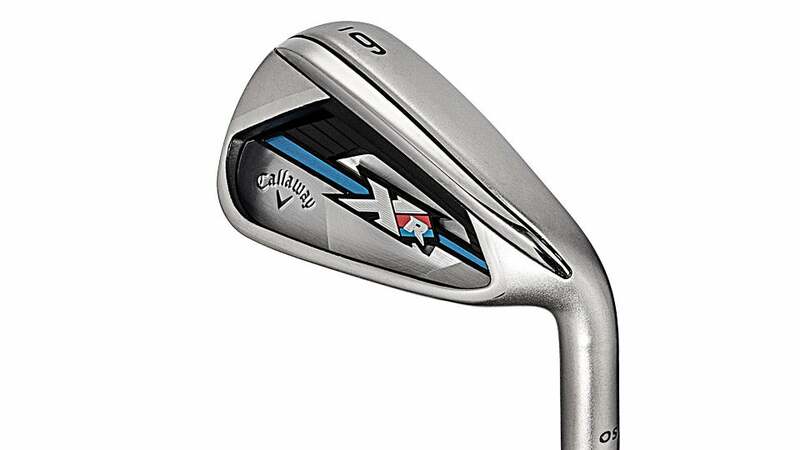 BOTTOM LINE: The Callaway XR OS is a nicely balanced package that provides outstanding accuracy and ease-ofuse with a solid feel. The larger head offers more forgiveness -- and inspires more confidence -- than the XR.